You are currently browsing the tag archive for the ‘eurozone crisis’ tag. 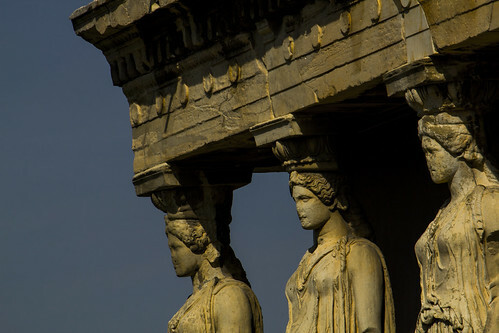 Here’s my completely baseless theory on why the European Union admitted Greece to the eurozone (despite what seems like overwhelming anecdotal evidence that perhaps culturally/historically the Greeks and the Germans have much different methods for dealing with things like debt and taxes): Greece is a fabulous place to visit. Wouldn’t it be even more fabulous if Europe’s favorite getaway spot used the same currency so no one has to waste time getting money exchanged on long-weekend island-hopping. Yes, yes, yes. That would be lovely. 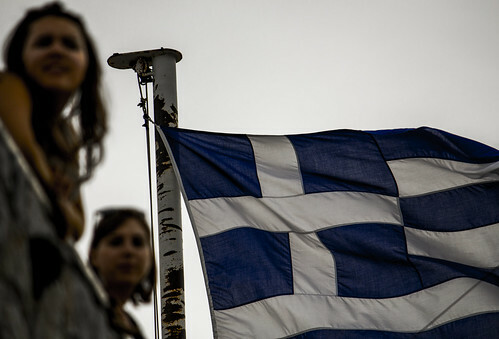 Welcome Greece! Here’s the euro. Nun, wo ist das Schwimmbad? 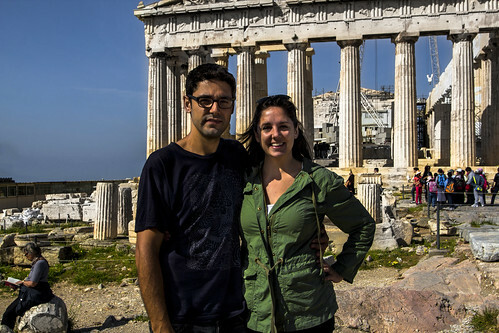 We pose in front of the Acropolis. These ladies could use some La Mer. Photo by Nellu. It’s odd visiting a country during a major financial meltdown not because you feel the crisis but because you don’t. You still go out to eat, shop, and visit the sites like you’re on vacation because you are. 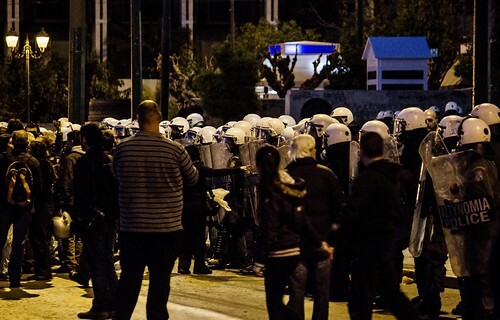 Yes, there were the nightly protests in Syntagma Square while we were there. We actually arrived the day before pensioner Dimitris Christoulas committed suicide in the park in front of Parliament. His death seemed to re-ignite the hopeless feelings many have about the prospects for a prosperous future. 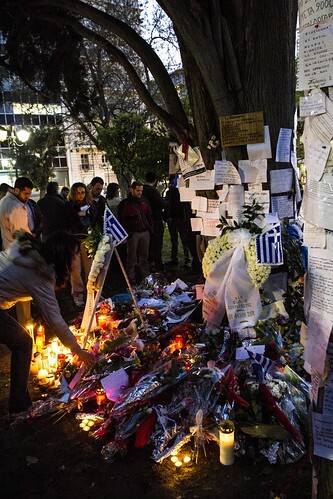 The tribute to Dimitris Christoulas in Syntagma Square, the day after he committed suicide in protest of austerity measures. Photo by Nellu. And yeah, it was a little odd when the student groups on the Athens Happy Train booed when they drove by Parliament. But our airbnb hosts bent over backwards to make sure we had everything we needed during our stay. At both of our apartments (one in Athens and one on the island of Syros), we were treated like family. The a scattered group of protesters outside of Parliament in Athens. Photo by Nellu. Let me assure you that the unrest was thoroughly contained. Like I said, we didn’t feel threatened or even bothered by the crisis. I make a point to say this because in absence of my out-of-the-box skin care solution to the crisis, Greece could really use a few more visitors.